Remodeling or rebuilding a bathroom is a specific and highly technical exercise. We have a team of highly skilled professionals able to tackle any bathroom renovation job. We work closely with our customers all throughout the remodeling process in order to provide accurate and high quality results. If our customers are unsure of styles, fittings, accessories etc, we can supply a ready off the shelf design which will be produced by our very own master tradesmen. 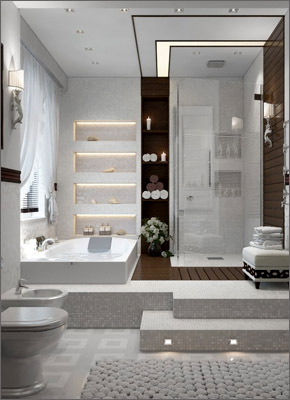 Our people will advise and clarify with the customer any issues and queries to do with the entire bathroom project.